Eastern Ontario community group Concerned Citizens of North Stormont have launched a petition for their MPP Jim McDonell to take to the Ontario Legislature within days. The petition says the 100-megawatt wind power project is not “in the public interest” and its Renewable Energy Approval should be revoked. The community group has also filed a direct appeal with the Minister of Environment, Conservation and Parks. Nation Rise means more cost added everyone’s electricity bills. It was approved using outdated and flawed noise assessment protocols. 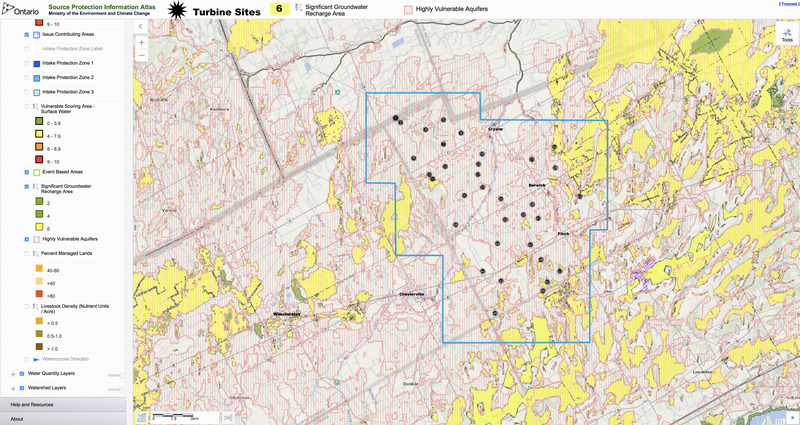 It will expose hundreds of people to wind turbine noise emissions. There are very serious environmental concerns with the project. its approval was rushed through before the election by the Wynne government, without adequate assessments. Parker Gallant says the power from this project will be like a “fly on the flank of an elephant” — we don’t need to pay the $450 million for this power plant. Promises of long-term jobs and other community benefits are over-stated–there will be only five net permanent jobs after construction (and even then, EDPR spokesperson said the company can’t guarantee they will use locals for the construction phase). Profits from this project will go to interests in Portugal and China. Please sign the attached petition and mail it to their MPP Jim McDonell, as soon as you can. Today, if possible. Let’s have no more personal and environmental damage done to us all by industrial wind turbines. At its first mandatory Community Liaison meeting held this past week in Crysler, Portugal based power developer EDP announced that construction will begin soon on the 33-turbine, 100-megawatt wind power project that will cover the communities of Finch, Crysler and Berwick. 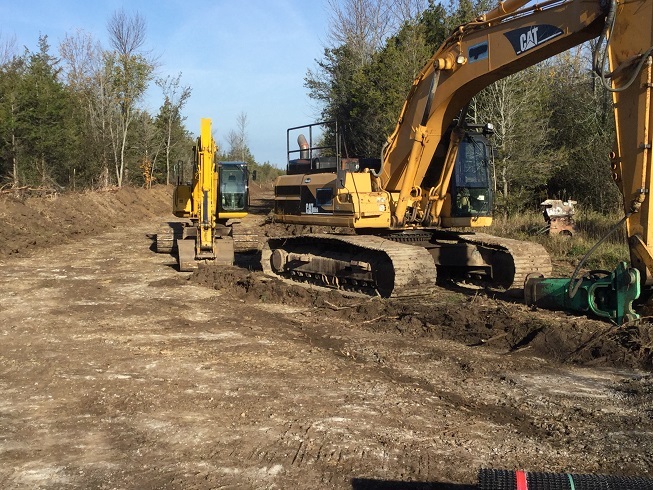 In a story published by the Cornwall Standard-Freeholder EDP spokesperson, Toronto-based Ken Little, said that the first step will be clearing of trees, and construction of access roads for the turbines. While the turbine type and size was not specified in documents filed with government at the time of application for the Renewable Energy Approval, Little said they will be German-built machines, built to a maximum height of 200 metres or 656 feet. The Peace Tower in Ottawa in 321 feet. Little was also asked if the company will be employing local workers during construction, but he said he could not guarantee that. He did say that there will be a $300,000 benefit to the municipality. Wind Concerns Ontario, however, estimates the property value loss for properties exposed to the noise and visual effects from the huge turbines could be in the millions, which could in turn have the effect of forcing the municipality to raiser taxes. The power project could be operating by December of this year. It is estimated to cost the people of Ontario more than $380 million over 20 years; the Independent Electricity System Operator (IESO) said in its power supply forecast last fall that Ontario does not need any new power generation at this time. Community group Concerned Citizens of North Stormont launched an appeal of the power project based on concerns about the impact of turbine construction and operation on the aquifer in North Stormont, which is designated as “highly vulnerable” and on safety and health concerns. The appeal was dismissed but the group said recently it is considering all other option, including a further appeal. Finch, Ontario — Sitting demurely and speaking quietly, on July 24 the volunteer president of Wind Concerns Ontario blasted the provincial government approach to monitoring industrial wind turbines, accusing it of ignoring complaints about noise, health and other issues, or deferring them with no subsequent action. Jane Wilson made her comments while presenting as a witness during an Environmental Review Tribunal hearing into the Nation Rise wind power project planned for Stormont County. The hearing is scheduled to continue through August 2. Currently engaged in the approval process, the project is sponsored by EDP Renewables Canada and calls for installation of some 33 turbines in North Stormont farm country delivering a total of 100 megawatts of power that, opponents observe, the province doesn’t need. 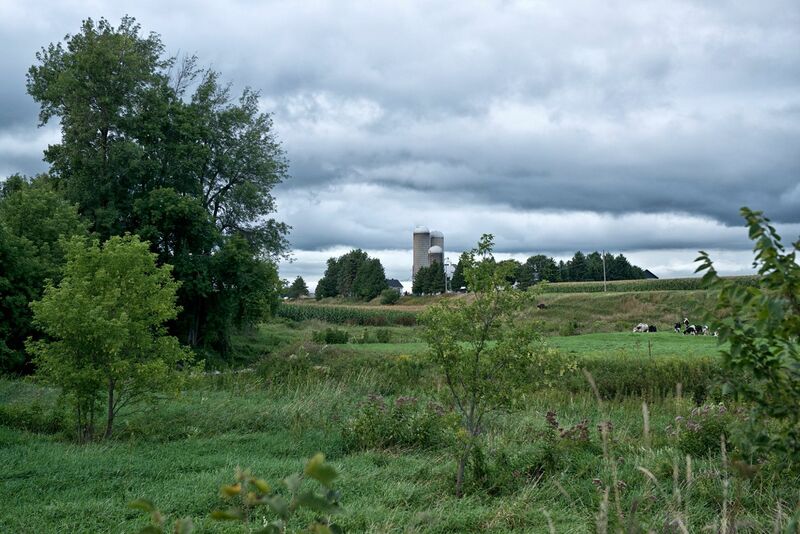 Headed by local resident Margaret Benke, opponents were hopeful the new Doug Ford government would cancel Nation Rise just as it did the White Pines wind project in Prince Edward County. But that didn’t happen and opponents’ legal fees and other expenses are up to $20,000. Benke noted that, with Ford in place, Nation Rise isn’t likely to proceed and yet opposing residents are still on the hook for costs. A registered nurse, Wilson said Wind Concerns represents a coalition of more than 30 community groups across Ontario. She emphasized that the Ministry of the Environment and Climate Change–renamed Environment, Conservation and Parks — has pledged to protect the environment and human health from any turbine side effects. While he asked for some clarification, Paul McCulloch of the ministry’s Legal Services Branch, didn’t dispute Wilson’s basic facts. Representing EDP, lawyer . Grant Worden also offered no challenges to Wilson. The repetitive nature of various complaints suggests, Wilson continue, that wind power developers are failing to live up to the terms of their approvals by allowing conditions triggering adverse effects including on health, to continue. Wilson indicated that 39 per cent of 2006-2016 incident reports referred explicitly to sleep disturbance which is generally blamed for a myriad of diseases and disorders. Many people were disappointed in the results contained in the summary of the Health Canada Wind Turbine Noise and Health study, which was released in a hurry on November 6th. No evidence was found to support a link between exposure to wind turbine noise and any of the self-reported or measured health endpoints examined. However, the study did demonstrate a relationship between increasing levels of wind turbine noise and annoyance towards several features (including noise, vibration, shadow flicker, and the aircraft warning lights on top of the turbines) associated with wind turbines. In fact, the study found that an average of 16.5% of people within 2 km of wind turbines, or a wind turbine (whether multiples were considered is not clear), had severe distress or “annoyance”. The closer people lived, the worse that result was: 25% of people at 550 meters or less (some people waived the setback as part of their contract with the wind power developers) had adverse health effects related to the distress or annoyance, annoyance being a medical term. The adverse health effects from the annoyance listed by Health Canada were:migraine, tinnitus (chronic ringing in the ears), dizziness, sleep disturbance or disorder, and cardiovascular effects such as elevated blood pressure. So, what would that mean for North Gower, if the wind power generation project proposed by Prowind in 2008 gone ahead (remember, it got as close as one could to a Feed In Tariff contract, before the government paused the subsidy program in the spring of 2013–it is NOT true that it would never have been approved, it was virtually there). At an average of 2.5 people/home, that would be 692 people, and at an average of 16.5% affected by distress/annoyance, that would be 114 people. This is considered to be a conservative figure as Health Canada did not do any follow up on the significant number of houses it discovered vacant or demolished in the study. These were “mature” turbine projects and as we know from the experience of people living in areas like Chatham-Kent, Clear Creek, Ripley and Kincardine, the people most affected leave within six months to a year. At least some of them children. And yet the Ontario government continues to approve these power projects, despite evidence of harm to health, and the fact that Ontario does not need the power. And the wind power lobby group, the Canadian Wind Energy Association (CanWEA) persists in the mythology that wind power is clean and good for the environment. Health Canada is taking no action, despite these results, and has no intention of studying wind turbine noise further*. The people of North Gower have a right to expect more from the federal government, and from Health Canada, which is supposed to used sound science principles to protect citizens. Our Member of Parliament is Pierre Poilievre at pierre.poilievre@parl.gc.ca if you have any comments on what the Health Canada study means to you and our community. *As per a personal meeting with the study team representatives, Ottawa, November 7.